Wizard Wars from the SyFy channel has been cancelled. This is really a shame as it was a fun show and I know a lot of lay people who loved watching it. On the flip side of things, apparently the WB which was showing reruns of Penn and Teller Fool US from England has now ordered a new batch of shows. 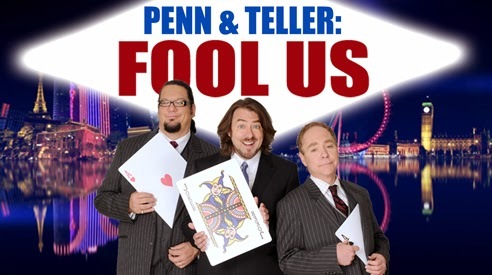 So this week, Penn and Teller will be filming a new round of FOOL-US from their home in Las Vegas! Host Jonathan Ross will be back as well P&T. I really enjoyed season 1 of the show, so I expect the same from season 2. Gay Blackstone's Masters of Illusion will also be back on the CW. Syfy has a number of other magic TV shows like Troy and Close-up Kings. Of all the shows I've mentioned, I have not seen Troy or Close-up Kings. But I've enjoyed the others. I fully expect to see even more magic on TV in the coming months/years.